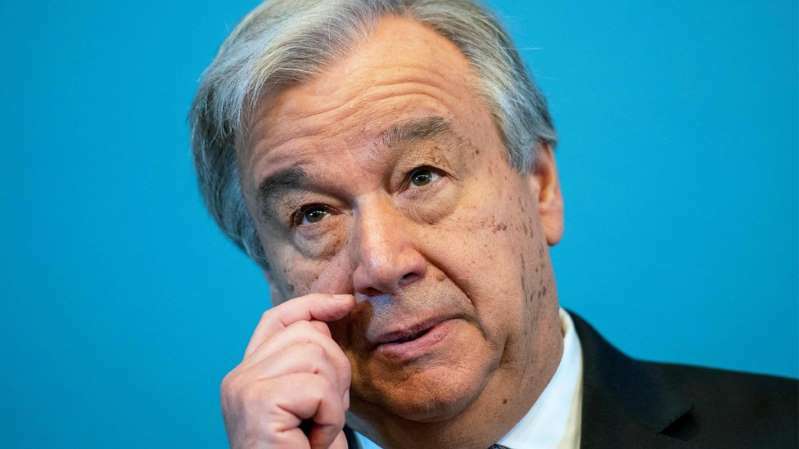 UN Secretary General Antonio Guterres has urged Donald Trump not to walk away from an international deal designed to prevent Iran acquiring nuclear weapons. In 2015 Tehran signed a deal with the US, China, Russia, Germany, France and Britain agreeing to limit its nuclear activities in return for the lifting of crippling economic sanctions. What has Israel claimed this week? On Monday, Israeli Prime Minister Benjamin Netanyahu revealed what he said were pages of material that proved Iran had covertly pursued nuclear weapons. There were, he said, 55,000 pages of evidence and a further 55,000 files on 183 CDs relating to a secret nuclear weapons programme, dubbed Project Amad. He said Tehran had continued to pursue what he described as nuclear weapons knowledge after the project was shuttered in 2003. He said this was evidence that Iran had lied about its nuclear ambitions before the deal was signed in 2015. Tension between the long-standing enemies has grown steadily since Iran built up its military presence in Syria, which lies to the north-east of Israel. What does Trump object to in the deal? Mr Trump has frequently voiced his opposition to the "insane" deal, which he has described as the "worst ever". He has warned that the US would withdraw completely on 12 May - the next deadline for waiving sanctions - unless European signatories to the deal and Congress addressed his concerns. He is unhappy that the deal only limited Iran's nuclear activities for a fixed period and had failed to stop the development of ballistic missiles. Iranian President Hassan Rouhani has questioned the legitimacy of efforts by the US and France to change the nuclear deal with his country. Mr Rouhani has said that Mr Trump has no "right" to renegotiate the seven-party agreement. He has said Iran "will not accept any restrictions beyond its commitments" to comply with international rules in the years ahead. Mr Rouhani has also accused Mr Trump of "maliciously violating" the nuclear agreement. Iran maintains that the missiles it has tested are not designed to carry nuclear warheads and insists its nuclear programme is a peaceful one for energy purposes.